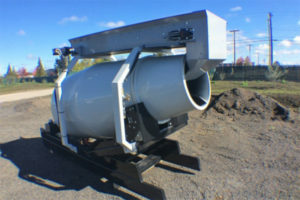 We have Cart-Away Concrete Mixing Trailers and Loading Plants All Over! 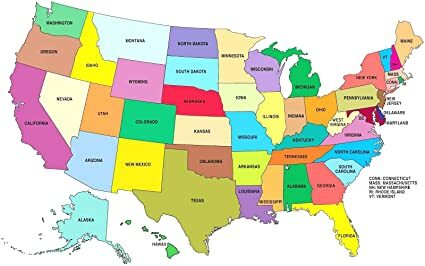 From Florida to Alaska, from Southern California to Massachusetts, Cart-Away Portable Mixing Trailers and loading plants are spread far and wide. Who is buying all of this equipment? 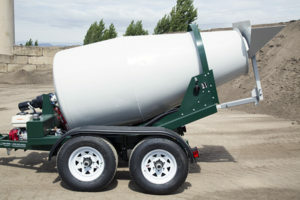 As I talked about in my first blog (which I’m sure you read, but if you didn’t, What is Portable Concrete), getting short loads of concrete on your schedule and at a price that’s reasonable helps contractors and homeowners alike. It also helps the ready-mix companies because they don’t want the hassle of a small load of mud because it’s not economical. 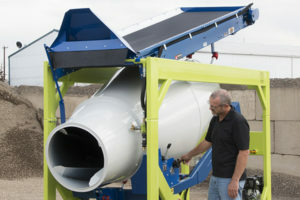 Cart-Away serves this market with our mixing trailers and loading solutions. Let’s identify who’s actually buying Cart-Away equipment. Well, there are three main groups and I’ll cover one of them in this blog. The first I touched on earlier: Contractors. That’s a pretty broad category, isn’t it? It sure is, but Cart-Away fits into all parts of it. Some of my customers are large contractors with dozens of employees. They work on multiple projects at one time with some of them spread over numerous states. These are the guys that take on really big projects. In the biz, they are known as general contractors, or just generals. Oh, yeah. They need Cart-Away here! We have quite a few generals that use our portable mixers and go job to job and use them to do small clean-up pours like adding a kicker or doing a DI. Some have a number of our concrete mixing trailers going to numerous job sites. In fact, we have one large utility contractor that now has 25 of our CMK-175 MixKing Trailers spread from Colorado to Ohio. So, it’s just the big companies that buy Cart-Away Portable Mixers? Now That’s a job for a Cart-Away Mixer! No, not at all. On nearly every job a general usually has a number of sub-contractors, or subs. These subs specialize in a particular portion of the project. Some might be plumbers, others might do underground, still others might be electricians. Many of these subs are also our customers. Need to pour bollards around those fire hydrants in the parking lot? That’s a short-pour concrete need. How about a thrust block where the water main tees? Short-load time. Need to put in your DI’s or ring the manhole covers after they’ve paved? Hello, Cart-Away Portable Mixer! And we don’t just sell to the subs, we sell to their close relations: the independents. These are the contractors that do smaller jobs and do the entire project themselves. Some of them are generals, yes, but they take on jobs that they handle with a handful of their own employees. Some of my independent contractor customers specialize in one area. I have a customer in Florida, for instance, that’s an electrical contractor. He uses his Cart-Away portable mixer to pour the stands he puts the light poles on in parking lots. Another is a concrete cutting company. When he first called me I remember him telling me that it used to be that he cut concrete and that was it. Whoever then dug down to whatever, did the repair, and then poured and finished concrete back over the hole. His portion of the industry changed, though. Nowadays, he’s asked to come one time and do the cut and then gets called back to do the pour back. 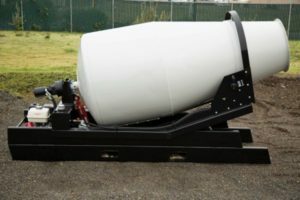 Cart-Away’s portable mixers are perfect for him because when the call for the pour back comes in, he doesn’t have to call and wait for a ready-mix company to get to him when they can. He pours it himself, on his schedule, sooner rather than later. And he saves money doing it that way, too. Bonus! If you’re interested, and you know you are, I’ll be writing about the next segment of our customer base in a couple of weeks. So, take a second and subscribe to our blog. I promise to keep it informative!